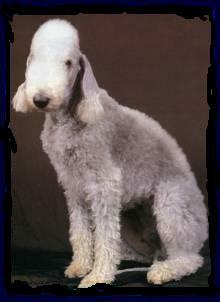 The Bedlington Terrier is graceful, alert, intelligent, and entertaining. They are characteristically inquisitive, perceptive, opinionated and affectionate. Their great love of people and particular joy with children endears them to young and old. The breed originated near Bedlington, England. Records can be traced back to the 18th century.